If you’ve never tried a bath bomb you are seriously missing out on the best bath ever. These things are so amazing and fill your tub with the most luscious scent for a spa like experience like no other. You can buy them at a lot of spas and bath stores, or you can make them yourself and save a bundle. I have to admit, I am addicted to making these DIY bath bombs. They don’t take long at all, and making them is much better than spending about $5 to $10 for each one. You can make several for the price you would pay for just one. There are many different recipes that give you a number of different scents and relaxing ingredients – you just have to choose your favorite, or make them all. These are much like my homemade bath salts recipes, but with a wonderful fizziness that gives your bath just the right kick. From lush expensive bath bombs that mimic those you would find in high end spas to rainbow, citrus, and lavender – you won’t be able to get enough of these. Whatever you’re looking for, I’m sure to have a DIY bath bomb recipe that will perfectly suit your needs. If you’re ready, we’ll begin to make bath bombs that will excite and relax you all at the same time. You’ll need a few basic supplies for most of these. The ingredients themselves are not expensive and many of them are things that you probably already have on hand. You can pick up a bath bomb mold at most craft stores or you could use plastic Easter eggs or any number of other things to mold them. I prefer the large round ones but you can use whatever you want to get the shape that you desire. Basic ingredients for most include essential oils, baking soda, cornstarch, citric acid, and cream of tartar, but all of the recipes are different so take just a minute to check out the ingredients before you begin making them. Also, take a look at my detoxifying bath recipe that will clean out toxins and make you look and feel fabulous. I’m so excited to help you experience homemade bath bombs! I can’t wait to hear which ones you have tried, and how much you absolutely love your new spa essentials. If you love citrus, this citrus bath bomb recipe will become your go-to for relaxation. With a combination of lemon and orange, it’s sure to fill the tub with a wonderful aroma. You can change the scents to customize it if you’re not a fan of citrus. It calls for cornstarch, baking soda, Epsom salts, and citric acid as well as essential oils – which again, you can choose based on your own preferences. You mold these in a ball mold or whatever form you want and you can get several DIY bombs from just one batch. These cupcake bath bombs are…the bomb. 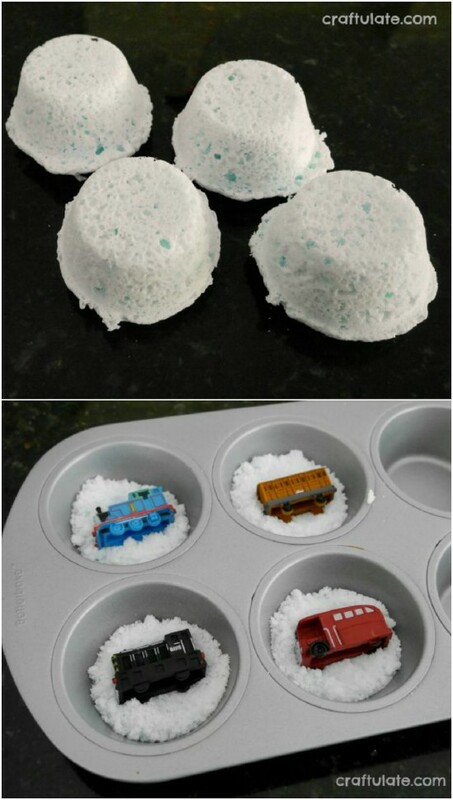 Honestly, this is such a creative way to prepare bath bombs, and kids are going to adore bath time when you use these. The fragrance is in the “icing” which includes essential oils as well as a foaming agent and a few unconventional bath bomb ingredients. You mold them in cupcake tins, which is really cool and decorate them in whatever color you want. I love the ingenuity of this one – although it will take a bit more time than others in the list, you can’t deny that you really want to try one! These Star Wars themed bath bombs are perfect if you’re planning to put together a basket for the man in your life. Honestly, who wouldn’t want a death star bath bomb? You can find Star Wars themed candy molds in most craft stores. The recipe itself contains baking soda, citric acid, corn starch and Epsom salts, as well as almond oil and silver dust or soap colorant to get that cool color. You also add essential oils, which you could totally customize to give it more of a “manly” scent. This homemade galaxy bath bomb will go perfectly in a gift basket with the Star Wars themed bath bombs, or give them to teens. They will love the colors and you can customize the scents depending on who they are for. You mold these in a microwave egg poacher or use stainless steel ornament molds – whichever you prefer. These are easy to make, even with their amazing blend of colors and will turn bath water into a wonderful rainbow when they dissolve. 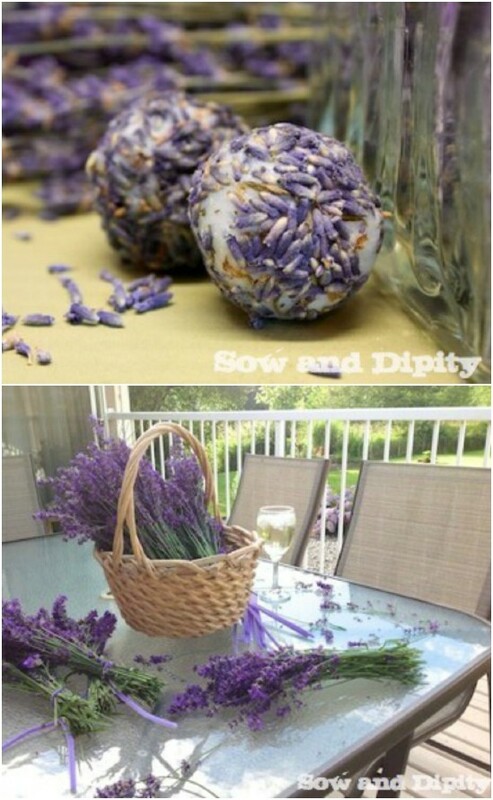 These DIY lavender bath bombs are amazing. Lavender is such a wonderful scent for relaxing. The deep purple color is beautiful and I just can’t get over that luscious scent! These are molded in a mini muffin tin but again, you can mold them in whatever you prefer. Personally, I love the large ball shapes, but that’s just me. This one contains cream of tartar, baking soda, Epsom salts, and corn starch, as well as your lavender essential oils, coconut oil, and natural food coloring for that amazing color. You can also add dried organic lavender flowers for a little something extra in the bath when the bomb dissolves. Peppermint is definitely a relaxing scent, and not just one that you can enjoy during the Christmas season. The color of these is great – red and white combined, and the smell is just out of this world. In addition to basic bath bomb ingredients, these also contain coconut oil, which is amazing for the skin, and peppermint scented essential oils. You can add red coloring to get the candy cane effect or just leave them plain white if you prefer. They only take 20 minutes to make and you get six bombs if you’re using a cupcake tin type mold. In addition to the normal baking soda and Epsom salts, this recipe uses gold mica, frankincense and myrrh essential oils, and Turkey red oil. You also fill a bottle with witch hazel to mist while you’re molding. Apparently the witch hazel keeps the bath bomb ingredients from becoming too active when you’re molding them – as you need to add moisture to get the mold and water can cause activation. Witch hazel also helps them to dry faster, so you can enjoy them quicker. The golden color of this bath bomb recipe makes it a good choice if you want a bath that looks and feels elegant. These really are the Midas Touch of the bath bomb world, and are really easy to make. They are covered in king’s gold mica and contain meadowfoam oil which is an excellent moisturizer. They have a combination of scents that include champagne fragrance oil – talk about elegant – and orange scented oils so the overall scent puts you in mind of a mimosa. You also add cocoa butter which is excellent for the skin. Okay, I love Lush bath bombs but let’s face it, $10 or more for one bath bomb is a little extreme. You can actually mimic those more expensive bath bombs for about half the price or less and enjoy the same wonderful benefits. So these are molded in mini tart tins but if you want a try Lush experience, you can purchase large ornament molds to get those huge bath bombs that Lush is so popular for. Peppermint, lemon, and lavender oils give them a wonderfully relaxing scent, and they contain coconut oil for moisturizing. Ginger is a natural pain reliever, so these grapefruit and ginger bath bombs are perfect for those everyday aches and pains. They have two tablespoons of ground ginger as well as grapefruit essential oils, coconut oils for moisturizing, and instead of water, this recipe suggests using white tea which offers amazing benefits to the skin. You could add other scents as well if you wanted to customize them. I personally think the grapefruit scent would be a wonderful way to relax. Green tea is good for you on so many levels. These homemade green tea bath bombs have green tea seed oil in addition to the basic ingredients. You can also add additional scents if you want, and they contain witch hazel which is really good for the skin and helps the bath bombs to dry faster. I love the awesome green color and you can add dried tea or any number of dried flowers to these to give them a beautiful look. These cute bath bombs have hidden trains – or whatever tiny toys you want to add – to make bath time for kids so much fun. Just hide the small toys in the bath bombs while you’re making them and when kids get into the tub, they’ll find these fun things to play with while they are bathing. I love this idea! You can also choose fragrances that are kid-friendly and add some coconut oil or cocoa butter which will help to deter dry skin in the winter time in your little ones. This DIY bath bomb recipe is a knockoff of the butterball bath bomb by Lush. It contains cocoa butter, which is super moisturizing. With ylang ylang oil as well, it is super luscious and provides such soft skin. It smells wonderful with the cocoa butter but you could also add essential oils to your heart’s desire, just whichever ones you want. I love how luxurious this one is, and it’s sure to take care of those dry skin problems that we all face in winter. These homemade musk oil bath bombs have an incredible scent, and they are really easy to do. The recipe makes two large bath bombs – think hand sized – or you could fill three or four Easter egg sized molds if you want to make more in a smaller size. You can alter the recipe to make more or less depending on what you want. Use a musk scented essential oil to give this a really glamourous scent or whatever oils you want to customize them. Who doesn’t just love cuddling up with a warm cup of cocoa on a cold winter night? Well, now you can relax in the bathtub with the same cocoa…well, not exactly the same. These hot cocoa bath bombs are so luxuriously rich and relaxing. You won’t be able to pull yourself away. Raw cocoa butter and organic cacao or regular cocoa powder are used to make the chocolate “sauce” that looks like it’s dripping down the bath bomb. These smell as amazing as they look and will make your skin super soft! Rose petals in the bath are a wonderful and luxurious way to relax. The scent of roses alone helps me to relax. It’s really easy to incorporate dried rose petals into your bath bombs, too. 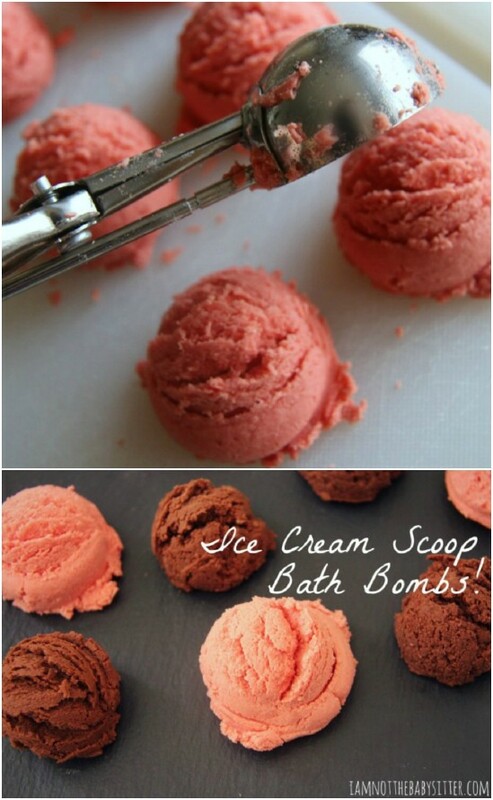 The recipe is much like a basic bath bomb recipe with baking soda and citric acid, but you add dried rose buds, too. You can purchase dried rose buds and they really aren’t expensive. You just add a few to each bath bomb and when you use them, you get a wonderfully scented, moisturizing, and relaxing bath. These all natural bath bombs are wonderfully scented – for children and adults. The ice cream shape will really appeal to the kids and you can completely customize the colors and flavors to match your favorite ice cream flavor. They contain cocoa butter and shea butter for an amazing moisturizing quality, and he colors are made with food coloring or cocoa powder, which gives them color and scent. Or you could use essential oils, too if you prefer. These would make such a wonderful gift idea! You know those nights when you just can’t get the kids to calm down and get ready for bed? 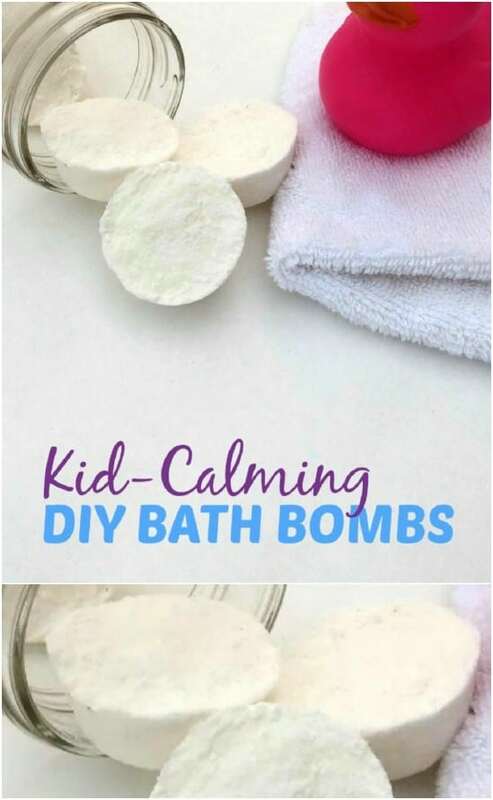 Well, these homemade kid calming bath bombs are going to change all of that. In addition to the normal baking soda and citric acid, these also contain olive oil, which is a great moisturizer, and they have lavender scented essential oils which are perfect for helping to calm down children and make them sleepy. Make them into shapes that kids will like and they will be begging you for bath time. Dried lavender and coconut oil make these bon bons the perfect relaxing bath additive. The dried lavender gives them a gorgeous design and color and lavender is very relaxing. Plus, the dried flowers are excellent for your skin – especially when you add in the coconut oil which is a wonderful moisturizer. You cook these in a jar that is placed in a crock pot so that the lavender infuses well into the oils. I think they would make an excellent gift as well, because they are so gorgeous to look at. A sugar daisy in the center of these lemon bath bombs make them beautiful. The daisy is from Wilton but you could use one that you make yourself if you prefer. These have a vibrant lemon scent which is so soothing plus they contain almond oil which is a great moisturizer. I love the little decorative touch with the daisy, although you could use any number of other things to decorate these. They’re really pretty and give you such a wonderfully relaxing scent. So, these may be my favorites from the collection. These little mermaid shell bath bombs include a pearl, which is actually a Sixlet pearl candy, but I think you could also use a small pearlescent bath bead. You will need a mold for the seashell shape. These are so great and would make the perfect gift for any beach lover. Little girls are also going to adore them. You could do any fragrance that you want using essential oils and make them in various different colors if you wanted, too. These Lush inspired lemon bath fizzies use meyer lemons for a wonderfully rich aroma. They also contain lemon essential oils, which by the way have an astringent property and help to detoxify the body, so they are great for tired or sagging skin. Lemons also help to eliminate blemishes. Lemon zest gives the bath bombs color and a number of health benefits. 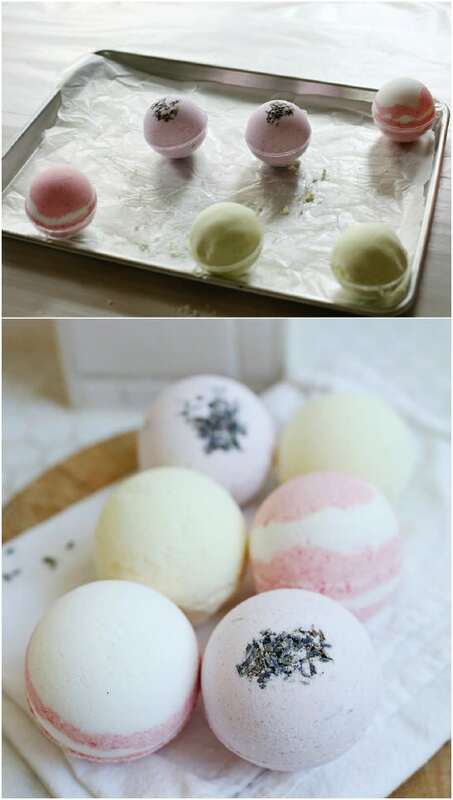 You can make these in your bath bomb molds or use a silicone ice cube tray to make them like the Lush fizzies, but for much less than you would pay for Lush. These homemade lavender and oatmeal bath bombs contain so many wonderful things for your skin! Lavender is so soothing and relaxing and can help to ease stress. Oatmeal offers a soothing scent and has a number of healthy properties for the skin. These are great bath bombs for those with skin allergies or anytime you have an itchy skin problem. They also contain almond oil, which offers its own wonderful moisturizing properties. I love the color and you can also add other scents if you really want to customize them. 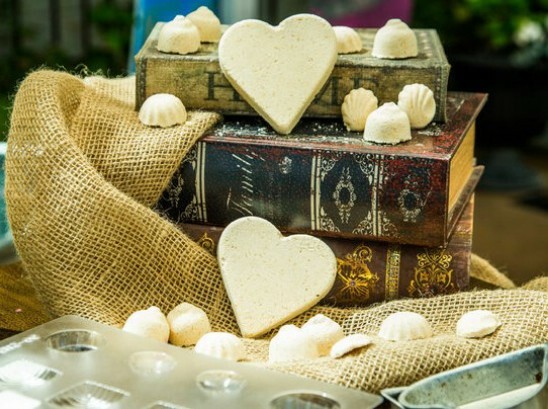 Here is another wonderful homemade oatmeal bath bomb recipe. I love using oatmeal in the bath – it is great for soothing skin from a number of irritations. It’s also perfect for sunburns, so these are great gifts for anyone you know who spends a lot of time outdoors during the summer. You can use any essential oil that you want for scent, or just leave the oils out and enjoy the scent of the oatmeal if you prefer. I love these as part of a gift basket for anyone with overly sensitive skin, and the recipe makes several smaller bath bombs. Orange has a peaceful quality that is perfect for your bath. Orange essence is also rich in antioxidants and can help to maintain normal cellular regeneration. Orange essential oils are also good for your skin and can help to clear up acne and other skin conditions. These orange bath bombs contain orange essential oils as well as almond oil for moisture and you can add body glitter or mica if you want them to sparkle. The scent is so relaxing and you can just feel imperfections leaving your skin while you’re soaking! Okay, so if you’re like me, pumpkin spice is your favorite scent for fall and winter. These pumpkin spice macaroon bath bombs will definitely put you into the autumn mood. They are so relaxing just from the scent alone. With pumpkin pie spice or pumpkin spice essential oils along with coconut oil, you will definitely enjoy your bath time with these. 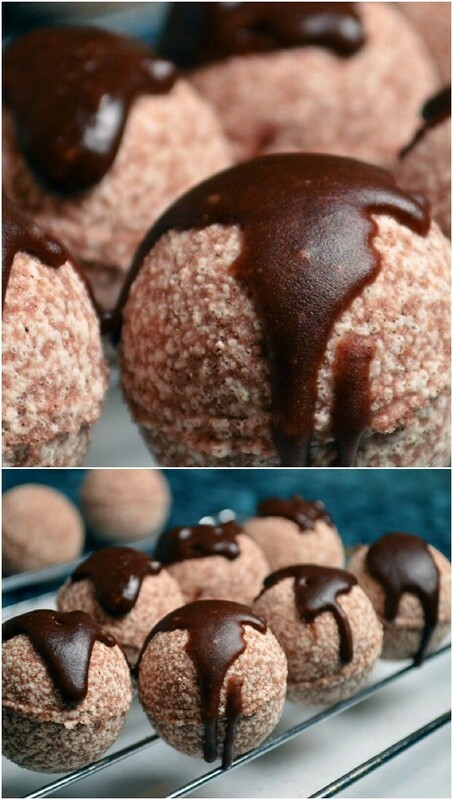 Plus, you can mold them to look like macaroons. These are great for gift giving if you know someone who enjoys pumpkin spice as much as you do. Milk baths have been a thing for centuries. The properties in milk help to soothe the skin and make it super soft. When you add rose, you get a wonderfully scented bath bomb that will help to alleviate dry winter skin. These milk and rose bath bombs are made with dry milk powder, which you can pick up at any grocery store. You also add dried rose petals to give them a wonderful scent, and the overall look is just gorgeous. They also contain almond oil and rose oil for a wonderful moisturizer. These star shaped bath bombs are great for kids – or adults. They have citric acid, baking soda, and olive oil and you mold them in star shaped ice cube trays. This is a really simple recipe that you can customize however you want using any scent of essential oils. Add some food coloring gel to make them bright colors for kids or just leave the colors out if you want them a bit less colorful for adults. These bath bombs are so easy to make and just require basic ingredients. The relaxation effect comes from the combination of essential oils that you use. Cedarwood is great for balance and mental focus. Lavender is relaxing and helps to soothe skin irritations. You can use both of these combined, which give your bath bombs a really soothing scent, or just add one of them with any other essential oil for the effect that you want. For teenagers, these tie dyed bath bombs are the perfect choice. The colors are so rich and vibrant! Use any number of different colors to get the colors that you want. They have basic baking soda and citric acid as well as hemp seed oil and fragrances. 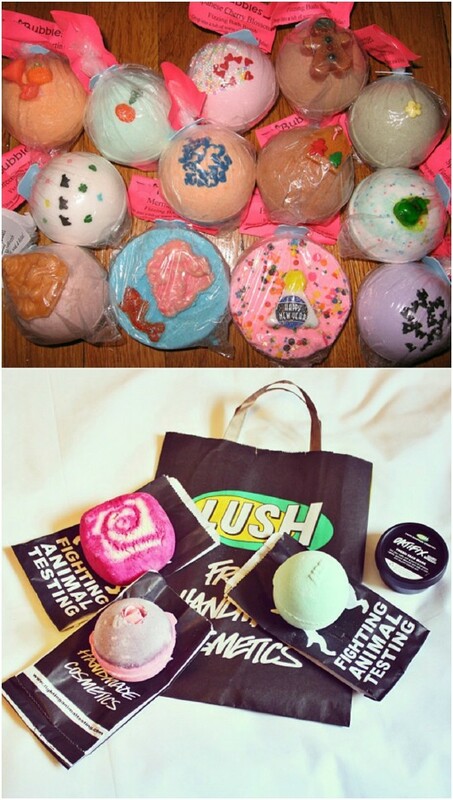 Each recipe makes about 10 bath bombs, so you can really stock up or make them as gifts. Just wrap each bomb in plastic wrap and tie with a nice ribbon. These are perfect for spa parties or any number of other gift ideas. I am looking to make shower bombs that are great for your sinus’s. But I don’t know what ingredients to use or how much of them to use. Can you help me?